Moccasins or sneakers? 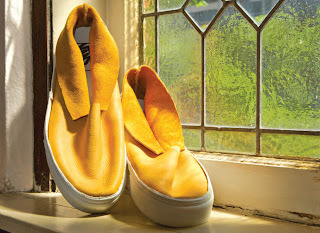 Sneakers or moccasins? How about both? 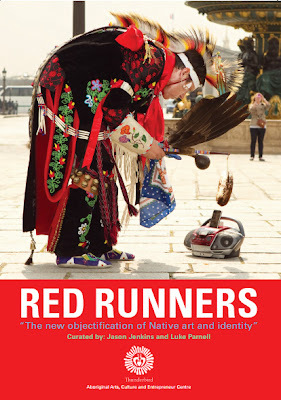 Red Runners: The New Objectification of Native Art and Identity is an exhibit that features the work of over a dozen contemporary First Nations artists who were challenged by the curators to deconstruct, decorate, and reinterpret a pair of white Vans sneakers. The artists come from diverse backgrounds, and work in a variety of media. Some of the artists were chosen for their traditional-based work and others for their contemporary outlook, though no limits were placed on what they could submit. All the works in the show are new but with reverence to the old ways. Curators of the show were Jason Jenkins and Luke Parnell. One of the artists was Lisa Myers. 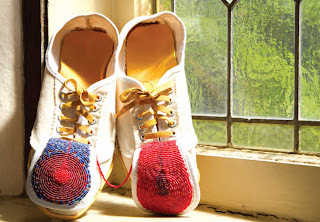 Her shoes below are titled “Blueberry Sole” and are made from one pair of Vans and one pair of moccasins that have been deconstructed and reconstructed into two pairs of killer cool shoes. 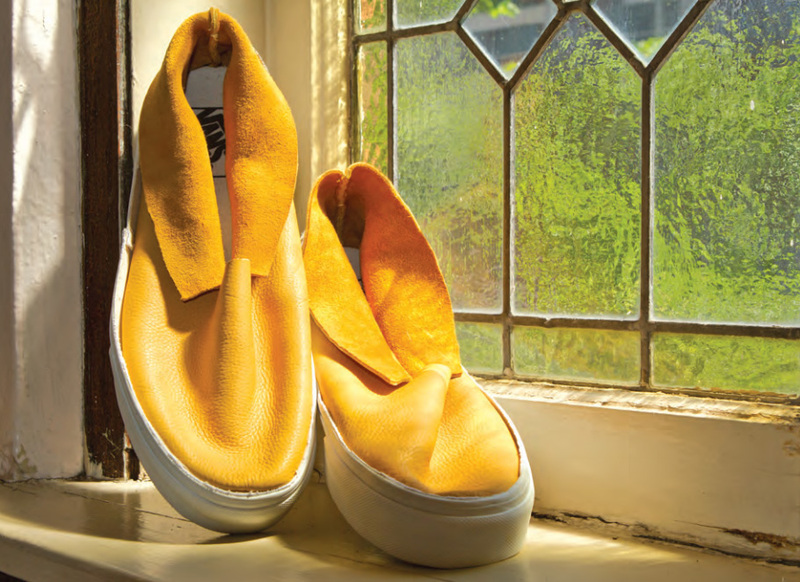 These were my favorite pairs in the exhibit, but you can scroll down and watch the video to see more, or click here to access the pdf version of the catalog.